UPDATE: This post was published in 2012. Since then EE has made many improvements, and I have since become an EE Advocate to help them understand the power of social. Read the original post below from November 2012 below. I never expected to have to write this post. I actually had another post ready in draft, to be posted on October 30th, the day the new 4G LTE network went live from Everything Everywhere (now known as EE). In that post, I was going to praise the 4G speeds I was getting all over London and show a speedtest.net grab to prove it. I can’t do that however, because for the last 5 days of my contract I’ve had 0G not 4G. Due to a complete mess outlined below, I still have no service, as shown by the photo on the left. Since this post went live on Saturday night London time (November 3, 2012), the response from the London Calling community has been amazing. This post has been viewed over 9,500 times (a record for this little blog) and there have been many comments on Twitter, and it has also been covered in the Telegraph newspaper. UPDATE 2 : 14th December 2012 – I’ve developed an advocate program for EE – read about it at lc.tl/advocates – this should help pinpoint these problems in a more timely fashion and provide direct feedback to EE. UPDATE 3 : 20th February 2013 – I was asked to appear on Sky News to talk about the 4G spectrum auction in the UK and my experience as an EE 4G user – see my response below. Late Sunday 4th November 2012, the responses from EE started to roll in. UPDATE: 20:34 GMT Sunday 4th November: I am in touch via email with Stuart Jackson who until recently was the EE Communications Director. He has just been promoted to Director of the Chief Executive Office, working into EE CEO, Olaf Swantee. Hopefully I’ll be able to update readers with some news on Monday, as I am sure this post will have reached Olaf’s desk (1,500 views and over 100 tweets and retweets and counting in just 24 hours). UPDATE: 10:08 GMT Monday 5th November: Robert from the 4G Project team calls me direct to sort out the issues. He confirms the SIM card I will receive later today will be an EE SIM and will “activate on 1st attach” meaning it will work when I install it in the MiFi. UPDATE: 10:43 GMT Monday 5th November: Lucie from EE’s external PR agency gets in touch via my contact form. I respond asking to meet with EE CEO Olaf Swantee. Lucie passes on the request to the EE PR team. UPDATE: 14:55 GMT Monday 5th November: Howard from the EE PR team contacts me and we started a very productive exchange. The outcome is they have invited me into EE HQ in London this Wednesday to allow me to meet with some senior EE folks. This is a very positive step and I would be happy to raise the issues reported below and on Twitter to the team to make sure they are addressed. UPDATE: 17:00 GMT Monday 5th November: I have now received the correct SIM card and I am enabled for 4G! You can see me ripping open the envelope and installing the EE 4G SIM in the video below. UPDATE: 18:03 GMT Monday 5th November: Howard tells me that “Those activation issues have been identified – we’re confident now that the CS and IT teams have worked through them all, and customers are being supported on a one-by-one basis”. This is great news, and shows the immense power of social media. I will update you all after my meeting on Wednesday. So how fast is the EE 4G network? Read my review of EE on the new iPad – it is really fast! Initial impressions are very good – the speeds are fast and the latency (delays in getting to the point where you start to load web pages) is similar to that of home broadband – ie around 60 milliseconds, compared to some 3G networks that have latency of 250ms (or 1/4 of a second) or more. For my overseas readers, EE is the only carrier in the UK with 4G (and I mean real 4G as in LTE, not the HSPA+ branding that the US carriers have been doing for more than a year now). As an early adopter, I always expect a few bumps along the way with new technology and so was fully expecting that there would be a few issues, but not as many as I have had in the first 5 days with EE as a brand new contract business customer. As such, I wanted to warn readers of London Calling and my 7,700+ followers on Twitter that EE is not quite ready, so you may want to hold off until they sort out their back-end and branding issues. Having been a loyal Vodafone customer since 2005, this is the first time I have used another carrier on a contract basis (and have committed to them for 18 months) so I thought it also a good way of testing out the EE customer experience. It is a real mess at the moment and every one of their tech support staff I have spoken to have admitted that they have raced to launch the network, and “we’re in the dark ourselves“. The network launched on 30th October 2012. This was a compromise date as they have been technically ready for a while, but had to appease O2 and Vodafone who are not able to launch until they buy new 800MHz spectrum in 2013. I was the first customer at the Kensington High Street store at 10am opening time, all set to be an early adopter of 4G, and get a new 4G MiFi so all my devices could run at 4G speeds while out and about. Many minutes later, there was some problem, and due to an “address check error” I was unable to sign up at the store, so I left empty handed 40 minutes later. UPDATE: EE told me that the reason this failed was their credit checking partner Equifax had no record of my two previous addresses – strange as competitor Experian knows exactly where I live (and apparently I have a cracking credit score – when I finally got connected they said they could offer me up to 7 lines my credit was so good). I persisted in my 4G quest and called EE later that morning and arranged to set up my account (no problems doing it over the phone) and have the MiFi sent to me the next day. On time, the MiFi arrived on Wednesday, with a slip of paper from T-Mobile thanking me for renewing my contract. That should have been a warning to me that his process wasn’t going to run smoothly, First of all, I’ve never been a T-Mobile customer, so thanking me for renewing was wrong. The box also contained a T-Mobile SIM card. As I had contracted with EE, I was expecting an EE SIM. More on their completely confused branding later on. (EE also runs Orange and T-Mobile in the UK due to a merger of the two companies two years ago). I put the SIM in the MiFi and waited. “No Service” was the message on the screen (and is still there 5 days later). I went by the EE store and spoke to the friendly EE person who tried to sign me up the previous day. He suggested that SIM activations could take “up to 24 hours”, and anyway he couldn’t check my SIM as his systems had crashed. Later that evening I called tech support, only to be told yes I should wait longer as my SIM was still in the “provisioning phase”, but they would try and hurry things along. 24 hours had passed since I received the MiFI so I called tech support again – only to be told that they did not know what was going on and would investigate. Later that evening I called back for an update (you know you’re having problems when you save the customer care number in your phone with all of the key presses to get you straight through). I was told that in fact I had been sent the wrong SIM – it was a T-Mobile SIM and not an EE SIM that would be required to provide the service. They promised to send a new EE SIM, pre-activated to me by post. I received the new SIM, and guess what – another T-Mobile SIM. 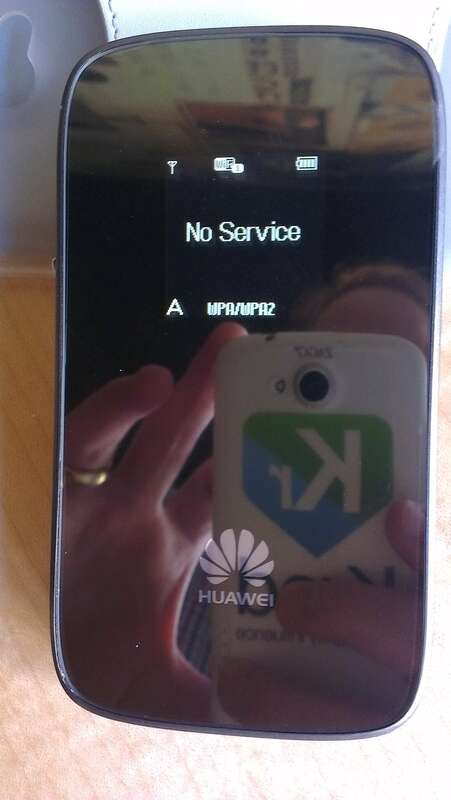 Placing it in the MiFi, the words “No Service” greeted me yet again. I called tech support – “the SIM is active, but it should be an EE SIM to work properly. We’ll send you another SIM“. By this point, I had lost all confidence that I would ever get an EE SIM. I suggested that as I was on the way home I would go via the EE store near me and get a SIM card from them in person and have the details provisioned onto the new card. I checked with the tech support person that I would be able to get a SIM, and she said yes, I would need a “replacement EE SIM” and I would be charged £10.21, but they would refund this. The helpful person told me it was her first day “and we’re very much in the dark ourselves” so I got her to check with a supervisor I could do the SIM swap in store. The answer came back “yes” so off I went to my local EE store for a 3rd time. Still with me? Good. It gets better. I arrived at the store, and explained I needed a “replacement SIM”. The helpful chap from Tuesday who could not sign me up in-store took charge. He said that they had no stock of SIMs so could not do this. He did offer to ring other local stores to see if they had stock. The response was that other local stores were out of SIMs also. I called back customer service, and explained my issue again. Theresa was very helpful and also tried calling other local stores for stock, without luck. She then dug deeper and told me that the system said that I was to be sent a THIRD SIM, this time “an EE SIM”. Apparently this had been organised late on Friday night (after the 2nd T-Mobile SIM had been dispatched). She offered that there had been a “few problems” with getting EE SIMs to new 4G customers. I asked about compensation, and was told I could go to the website, and look for “code of conduct” then fill in a form. I politely told Theresa that my terms and conditions had changed and I no longer filled out forms, I tweet. I spoke to her supervisor who did the usual, offering me a month’s free line rental. She could also see there was a note on my account that “the customer will retweet EE when he gets the service working“. In fact in parallel with all of the activity above, I have been tweeting @EE since this all started – and this is where EE has a massive identity crisis. Everything Everywhere (now EE) owns Orange and T-Mobile in the UK. They want to have the EE brand for the 4G service, but they clearly have not told their staff. I contracted with EE. So I tweeted EE and these are the various responses. @andrewgrill If you Tweet @OrangeHelpers or @TMobileUKHelp they'll be able to look into this for you. So how am I supposed to know which part of EE (Orange or T-Mobile) to contact – my relationship is with EE! @andrewgrill If you drop @TmobileUKHelp a quick tweet, they'll give you a quick status update. So really my relationship is with T-Mobile? I’m confused! And now back to T-Mobile. My head hurts with all of this branding nonsense. So their branding, and hence support is in a complete mess! I’ll let you know what happens Monday and if I get a EE 4G SIM after all. If EE’s CEO Olaf Swantee is reading this – please contact me to see how you can get me back at the 4G advocate stage (I do really want your 4G service to work!). I still have my draft post ready about my 4G EE experience, which I had planned to write on Tuesday 30th October. Will I ever get to test 4G on EE and review the service? Only EE/T-Mobile/Orange really know. Perhaps my earlier post “The launch of 4G in the UK will be evolutionary not revolutionary” completely spooked them? Anyone else had a similar experience in trying to move to EE? Please leave a comment below. i went through “fun” with EE, actually for mobile and fibre broadband! Called and ask if Fibre Broadband is available, they told me systems down I will have to call back. Calling back a day later they told me I already placed an order (which I didn’t ) and that’s why they can’t check it…!?? I would have to cancel first…..after another 30 mins on the phone the confused lady confirmed to me that fibre is avail and sold me the package. Next step would be a technician to call me to schedule an appointment within 24h hours…which didn’t happen! So I called again and after 30 mins on a very annoying waiting line they guy on the other end tells me there was an issue with the order but he now fixed it…the technicians are booked for the next 28 days (instead of 2 -3 of what the sales lady told me)!!!!! I then told him that I lost confidence in the service team and that he should please check that I can indeed get fibre broadband…after having been put on hold for a third time he told me ..yes…but most likely not before end of december …….WTF!!! so I am now back to my Sky broadband….THANKS EE for this one! UNFORTUNATELY I also wanted to switch from TMobile to EE…. Don’t move to 4G on EE just yet – they’re not ready for you, says @AndrewGrill http://t.co/ct31ggPB << Come on @ee – sort it out! 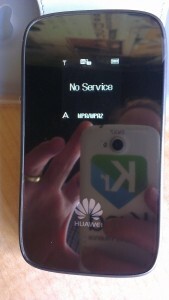 RT @glovelace: Don’t move to 4G on EE just yet – they’re not ready for you, says @AndrewGrill http://t.co/ct31ggPB << Come on @ee – sort it out! This was exactly the kind of article I’ve been looking to read – to find someone sharing an equally terrible service as what I am receiving. I purchased the iPhone 5 on launch day with Orange, or ‘EE’ and was told when the 4G launches, I would be changing contract. No problems there; that was expected. So on the 30th, I ordered my 4G EE Sim and it got delivered on Thursday; so far so good. Now at this point I will mention that between the 30th and the 1st, I made 5 calls to Orange to ask whether I would have any downtime because I use my mobile purely for personal and work, I don’t have an office number. 5 different people said ‘we guarantee you won’t’. But fair enough, it’s a new service so they couldn’t necessarily guarantee that but what followed is ridiculous. I received my 4G sim which happened to be the correct EE sim but it had a new number on it. I called up Orange to speak to again 3 people to guarantee I won’t be changing number; they said yes you won’t. So on the phone I registered the sim but they didn’t have the system to deal with EE starting SIM card numbers; they could only deal with orange numbers. I put the EE sim in and straight away I got service, I tested by calling my wife and all good. However here is where the problem began; I didn’t test receiving calls because well, I had full signal and I just made a call. Voicemail from a customer.. Who left the voicemail at 2:15pm. So that was annoying but I then tested receiving calls and all seemed well. The next morning, my wife tried calling me and couldn’t get through, it went straight to voicemail. She then iMessaged me and Whatsapped me but because I now had a temporary number, neither iMessage or Whatsapp were working. I do have iMessage linked to my email but why would my wife know to message my email? So this was Friday and I called EE customer support and technical department 4 times, on hold for an average time of 36 minutes each time, only to be told they are working on it and would call me back. No calls. Come Saturday, still no signal and now some angry tweets and Facebook messages were left. Orange helpers contacted me via DM and asked for my number and SIM card number; this was the 4th time I had given it to someone. No contact after that for the rest of the day. I again called EE 5 times to find out what the hell is going on. This morning (Sunday), orange helpers DM me to ask ‘so everything is sorted?’.. The nerve of those tw@ts. I ONCE again gave my number and SIM card number and not got a single apology, explanation, answer, anything. Pioneers of technology? I don’t think so. So 4 days into 4G with EE, OM4G.. And no ability to receive calls, messages or anything that relies upon my number. I am going to push for much more than one month compensation – that is not enough. Moved from Orange 3G on iPhone4 to EE 4G through Carphone Warehouse. A complete customer service and branding/platform disaster. No service since Saturday. Hours on hold with each player in this disaster. Each company blames the other. The worst cusotmer service failure I have ever experienced – and I am an old woman! I’ve found the process confusing as well. Had a 4G ready iPhone 5 on TMobile and upgraded on 30th. Visited 6 EE stores with clueless staff and all saying different things until I was told to call 150 to upgrade. That call took 2 hours and then I heard nothing until a text on Friday saying I’ve changed plans. The SIM arrived today but, 3 hours in, it still says No Service. Apparently you have to text SWITCH to 3333 BEFORE removing the old SIM (which i did, but it failed with a “Sorry we don’t understand that measage” reply). The accompanying letter says nothing about texting that, instead telling me just to throw the old SIM away and the new one should work immediately! Continuation on from my long comment above. Yesterday I went to 2 EE shops to try resolve this. The reason I did that is because on Sunday, while being on hold to customer service for another hour, the woman did some troubleshooting, which wasn’t very good considering I had to explain to her what iMessage was, but she then said “It is your SIM which needs replacing”. I knew this wasn’t the case, but I went into the EE shop anyway. So while there, the staff gave less care than any of the customer service representatives. They had no idea what to do so they called customer service. After 1 hour of explaining my situation, they stated to wait till Wednesday to see if it has been ported over. That will make it 6 days since having the ability to receive calls, messages or anything related to my number. That doesn’t mean Wednesday will actually happen. On Twitter, the OrangeHelpers told me (through a DM) to text SWITCH to 3333 – even though the in the SIM Card pack, it says do that if you’re on TMobile. So I did it – 24 hours later and still nothing. Though I did that on the EE sim, rather than on the Orange Sim. Now EE have taken it upon themselves to ignore my tweets, DMs, mentions and Facebook messages. I havn’t been shy with the abuse, but still. And so.. 120 hours without the ability to receive calls, and counting. Further Updates to my great EE adventure. I spent 2 hours 12 minutes today on hold to two separate tech agents today, but that is now an old story. Today I realised that by putting in my old Orange Sim again, I can make calls and receive calls but I get NO 3G. I also realised today that because on my EE Sim card I can’t receive calls, I have 19 voicemails, which I cannot check on my Orange SIM or my EE Sim. On both, when going into voicemail, it tells me to setup my PIN and then tells me I don’t have a voicemail set up and to call back on the same number I called the voicemail. So I now can’t receive calls, can’t check voicemails and can’t change my voicemail to tell people I’m having a problem. After speaking to the Tech Support for EE one more time, they said they are escalating me again. I told the account departments that 5 days worth of not receiving a call warrants a minimum of one month free, and the guy said they would offer me 10 because “One month is ridiculous”. I’m fairly certain EE have muted/blocked me on Facebook and Twitter – no reply for quite a while. I moved over to EE from Orange 5 November and found out 5 days later that all calls to me go to voicemail – my wife is ill and she was unable to reach me. I was able to make calls and use data so didn’t think anything was wrong. I reset my phone (incl a complete wipe) but didn’t help so called 150 where a calm rep told me that since the launch of EE 4G (30 Oct) large number of Orange costumers have an issue where their old account is still active – this is why calls to them go to voicemail. The hope to have it fixed by Monday, 12 Nov.
What a great start to EE! I have moved to @EE from orange. They didn’t port my number to start with. When I spoke to them the sorted it the next day. I now have 4G service. My voicemail is not activated and I was told they didn’t know when it would be. They told me visual voicemail is not coming. I use my phone for business and I’m not very happy. They have rolled it out too soon. Not much is working at the moment. Virgin mobile users can not text me either. Read about my experiences with EE here. I’m starting to lose my temper now. I have better things to be doing than putting pressure on a mobile phone network to give me what I pay for! @DrogoNevets @Hanry_M problem being my current network unlikely to use iphone-supported frequencies. But, yup. @Whatleydude wow, that’s pretty damning stuff. @Whatleydude great posts @andrewgrill. A cautionary tale. Will be sticking with 3 and unltd data for the foreseeable after reading that. @AndrewGrill @ee Been with Vodafone for years and will stay. Messy phone situations too stressful. Soon all networks will get 4G. @niallcook @AndrewGrill Similar issues moving from Orange (EE) to EE. Taken 5 days so far. Still no active sim with my Orange number. @pinotblush Yes, it’s definitely got worse since the EE switch. Very tempted to change networks! @AndrewGrill @EE Excellent I’ll do that. Thanks. I joined EE (via Orange) and it’s been a farce from day one. Delays, very poor signal in central London as well as dropped call hell. Had 3 iPhones and lost many hours trying to sort it out. Will NEVER move back to EE – It feels like the poor end of the mobile market. Back to o2!! Andrew, your experience is only one of many, many issues on EE’s network. Except for everyday guy on the street we don’t get invited to meet the execs! Since EE merged T-Mobile and Orange signal, 100s of not 1000s of people are experiencing problems with signal reliability on the normal 3G network. People are reporting no signal, dropped calls, little/no data availability, and total non existent customer service. I have now been blocked from posting on EE and T-Mobile’s Facebook pages, seems if they can’t fix it they just ignore you. And no I haven’t been obscene, impolite or insulting to anyone, simply asking questions and reposting from others. You only need to take a look at others posts on EE, T-Mobile and Orange’s Facebook pages to see the number of complaints coming in, mainly about poor or non-existent 3G coverage. I’d love to know your take on this, as you’ve had the ‘pleasure’ of dealing with their tech support staff. I work in a VERY demanding, customer service related business, with exceptionally high profile people. For my issue with EE (waiting for a refund since 10 Jan), I can honestly say that I have never experienced such appallingly bad customer service. From the numerous comments here, it is abundantly clear that this is endemic & the Customer Service Director (Vice President or whatever) needs to be appraised of the intolerably low standards. If he/she is aware of this, then he/she needs to be fired! I’ve just upgraded my phone from the Samsung pink U900, which I have had since taking out my contract with Orange in Jan 2009, to the new Samsung Galaxy S4. Quite frankly, I wish I had stayed with what I had. EE customer services, whilst polite, helpful and apologetic have done nothing to assure me that issues I’m experiencing with the new phone and EE network will be sorted out swiftly. Firstly, I was expecting my phone on Monday (29th April); it arrived on Tuesday 30th April, later than the time advised, (though I acknowledge the volume UKMail are having to deal with). Instructions tell me….pop in the SIM and EE will take care of the rest….should be about 30 minutes and you’re up and ready to go – 3 days later, I still have no connection and no functional phone. Beautiful though the phone is and I’m impressed with the features I can actually check out (without the connection), all excitement I was hoping to experience at having a state of the art piece of equipment has very quickly dissipated. Over the past three days, I have incurred charges on my house phone from prolonged calls with EE, disruption to completing my work as I’m trying to sort out the phone difficulties and awaiting the promised call back with information. I have spoken to 6 customer services personnel and one team leader, all of which took the IMEI no. SIM no. my temporary mobile number, old Orange number for migration, home address, know how long I have lived at the address and whether I own or rent etc. – still no connection. I have been advised that it is a technical problem. I have been advised it will be escalated to another (more important) department. I’ve been told people will email and get this sorted out as quickly as possible. The wrong team was emailed, but now we know the right team to email. They did not reply and so another day comes and goes…..still no connection. The latest is this. Apparently, EE created two accounts when I upgraded and the temporary number could not be activated and my Orange number could not migrate across as it did not know which number to go to; I was in ‘limbo’ apparently! Now one account has been deleted and the task of setting up the connection has commenced…..but this can take up to 5 working days and at the latest, my phone should be working by next Friday – some 11 days later. I share my frustrations and remain civil but somewhat annoyed and dismayed at having to wait 11 days to be connected. When I ask to speak to someone with more authority to expedite the matter urgently, I was informed a message could be sent to a manager and they would call me back within 24 hours – yet another wait. When I ask for the telephone number of the complaints department (this is a telephone company afterall), I’m informed I can only send a fax or my complaint in writing! Still cannot speak with someone who might be able to take more urgent action. I would not recommend EE to anyone. NO 4G on Orange! Suckered! I recently upgraded my out-of-contract phone to a Samsung S4. After going through the spiel, and talking about how poor Orange’s 3G coverage was in the TW4 area, and confirming there was 4G coverage, I agreed to a package with unlimited call, unlimited texts and 3Gb data allowance (despite my monthly average being about 300Mb) mainly because my Orange Loyalty discount was significant (after nearly 19 years with Orange) and because I expected 4G availability would see me surfing like never before! line to be answered and query it. Today, 2 weeks ago to the day I received my phone, I’ve just had a call from EE who are targeting people who have a 4G phone, but are not on 4G. Hmm…what have I been sold? “You can’t get 4G with Orange – have to switch to EE”. Further they won’t apply any loyalty discounts, (because they are EE) but somehow have all my details. So, an increase of nearly £13/month to get the same data usage limit. No go! Have now arranged a call back from a Customer Services Manager….lets see if it happens. The word ‘misrepresentation’ is marching in the direction of this conversation. And I thought I knew about mobile telecoms. Incidentally, my previous phone from Orange, an HTC Desire, showed EE on the screen. Any useful email addresses to communicate with?